OK so we’ve been talking about what features and functions you’re going to need in your SIP-based customer premise equipment (CPE) to ensure your VoIP and Unified Communications (UC) users enjoy a superior ALL-IP experience. On our list of five, so far we have three down and two to go. So let’s knock out the last two . . . This post is the final segment in a three-part series about ALL-IP service deployment. The SIP registrar of a Patton enterprise session border controller (eSBC), can provide a secondary registration point should for instance a hosted PBX become unreachable. This insures the continued operation of the on-premise telephony. Multi-homing, fall-back routing and load balancing can help to increase network up-time. Make your All-IP migration smooth, protect the investment in legacy systems and take time to plan and execute each step along the way. For these reasons legacy telephony interfaces such as FXS, FXO, ISDN BRI and PRI are a key benefit available on the Patton eSBCs. We are still talking about small and medium businesses (SMBs). The technical challenges are very similar to those faced by large enterprises and service providers. The budget and know-how typically are not. Therefore a right-sized solution that is affordable and easy to manage is critical. Patton eSBCs are available starting as low as 4 VoIP sessions and scale up to cover the entire SMB segment. Their built-in network analysis and debugging facilities rival the capabilities of expensive dedicated tools and with a very flexible and customizable management concept a turn-key solution can be built for practically any network, customer and application. The family of Patton eSBCs brings high performance and quality to the customer premise at a price that is affordable for every end user, whether it is a small enterprise of 15 employees, or a larger organization with several hundred users. That is a SUPERIOR CUSTOMER EXPERIENCE! Whether supporting SIP-to-SIP trunking, Hosted IP Centrex, or legacy PBX-to-SIP solutions, Patton Connects! Contact your local Patton representative for more details, or email us at sales@patton.com. 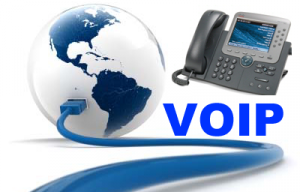 How important is business continuity in your VoIP applications? How often do you and/or your customers require ALL-IP support for legacy FXS, FXO, or ISDN network elements? Doug Hill has been involved in the communications industry for over 35 years. 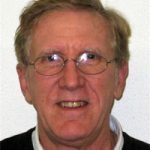 With a wide variety of experience Mr. Hill has been involved with activities ranging from basic data communications instruction to advanced network design for large MIS organizations to his current position as Regional Director of Northern Europe and Southern Africa for Patton Electronics. Over the past 14 years, Mr. Hill has been involved in international sales and marketing activities worldwide, and has a strong understanding of the Northern Europe and Southern Africa Voice over IP market. He is an acknowledged industry and market expert of information pertaining to both VoIP and broadband service deployment. Mr. Hill has been a speaker at many industry trade shows. He has also spoken at many national gatherings of telecommunications professionals, including the Society of Telecommunications Consultants (STC) and ALTS. Mr. Hill was a featured speaker at a series of seminars in the Far East, including events sponsored by the Ministry of Telecommunications for the Peoples Republic of China. Thanks for the 3 posts Doug, a very clear way of explaining our clients the use and need of an eSBC. Nowadays we find more and more PBX’s and SIP Trunks with no eSBC’s in between, and all because what you said in part 1, “it works”, but not as good and secure as it should. Interesting post Doug. Look forward to more from you. . .